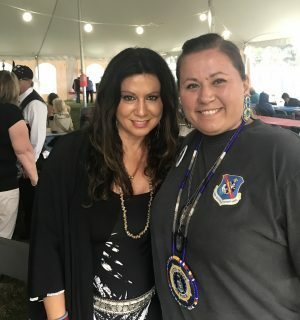 As I flew from Australia to the 4th National Gathering of American Indians in Chicago, I wondered at how two cultures, separated by thousands of miles, seemed to be on the same page when it comes to finding peace. Both groups have long suffered from both invasion of their sovereign lands and the lasting trauma of participation in modern warfare. Both groups often go unrecognized for their patriotic service to their country. 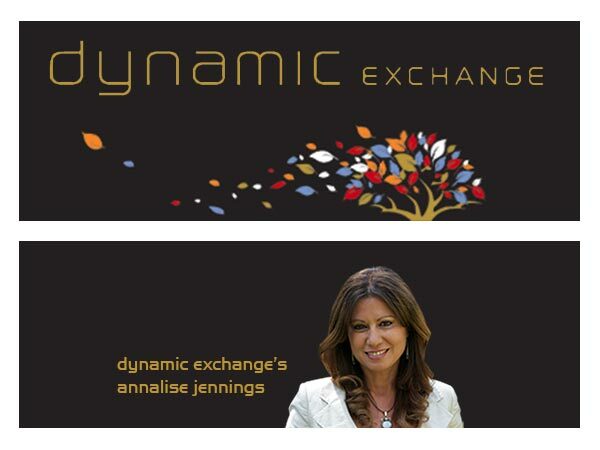 Both groups experience healing as a communal experience, a shared experience. Not being from either culture, it’s somewhat daunting to be asked to speak on such an occasion. What could I contribute that would be appropriate without overstepping my bounds? 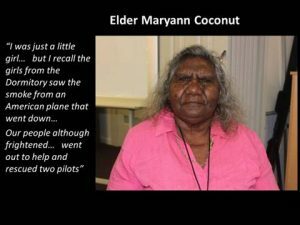 I was invited based on my community building work with the Napranum people of Northern Queensland, Australia, and would be relying on years of friendship with tribal elders Maryann Coconut and Roy Chevathen. Maryann personally remembers an event occurring during WWII that deeply linked her small town with America. “I was just a little girl but I recall that the girls from the dormitory saw the smoke from an American plane that went down. Our people, although frightened, went out to help and rescued two pilots.” The propeller of that plane still resides in that town as part of a war memorial , commemorating that fateful day. 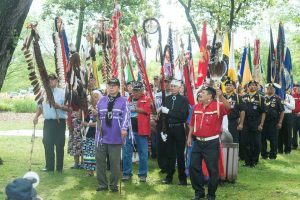 When I arrived in Chicago, I was welcomed by over 1,000 Native Americans gathered together to honour indigenous veterans of war. There was dancing. Singing. Circles of post service care. 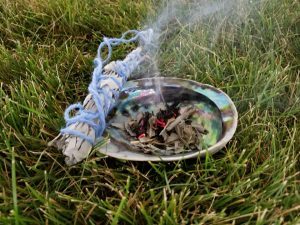 Three circles of cross-generational healing, including a women’s circle. 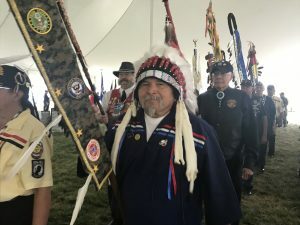 As I shared the story of the Napranum people with those veterans, together we acknowledged the first invasion of the Napranum people by Dutch settlers in 1602. It was the first time an Aboriginal man defended and died for his country. To be in the presence of those who also knew ancestral stories of first invasions of white men was to unite two histories, two parallel stories in real time. At the close of the event there was an incredible drumming ceremony. As I stood among so many who bravely faught for their native land, I looked forward to coming back to Australia to tell Maryann and Roy about my travels. And what an honour it was to carry the blessings and stories of the Napranum to the U.S., to unite it with the the thousands of other stories carried by those in attendance. 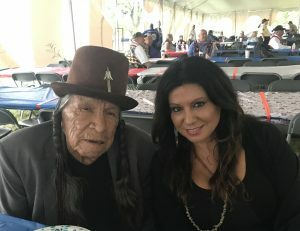 Saginaw Grant, Native American character actor, dancer, motivational speaker and the Hereditary Chief of the Sac and Fox Nation.